Wha's your zodiac sign? This one was custom made for Damaris in Amarillo Texas! 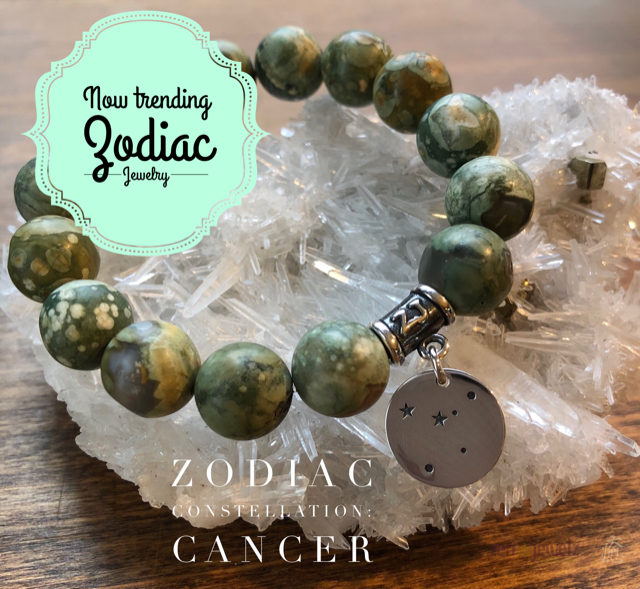 Matte finish Rhyolite with Cancer zodiac constellation charm.